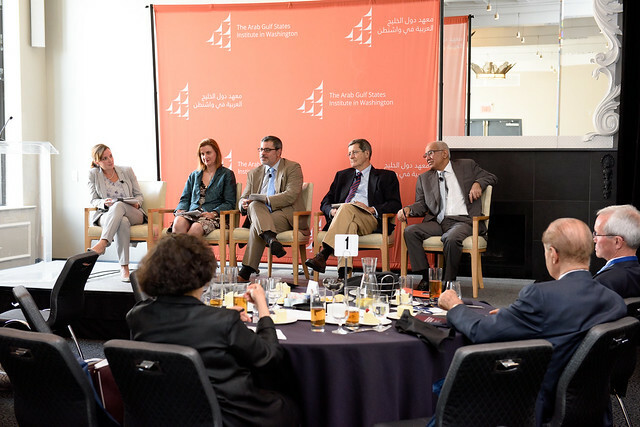 AGSIW's conference, “Petro Diplomacy: Navigating the New Oil Era,” focused on critical issues facing the oil industry against the background of the shifting economic and political landscape in the region. The international oil industry is in the midst of writing a new chapter in its long-storied history, with a massive restructuring underway to meet the challenges of a new lower oil price world. The conference, “Petro Diplomacy: Navigating the New Oil Era,” focused on critical issues facing the oil industry against the background of the shifting economic and political landscape in the region. A protracted period of dramatically lower oil prices has ushered in momentous challenges for Gulf Arab states and oil producing countries around the world.